All photos courtesy of Gotta Keep Movin'. Wondering how full-time travelers swing life on the road? Digital nomad Emma Higgins, the mind behind the website, podcasts, and journals, shares her experiences and gives a sneak peak into her latest project, . 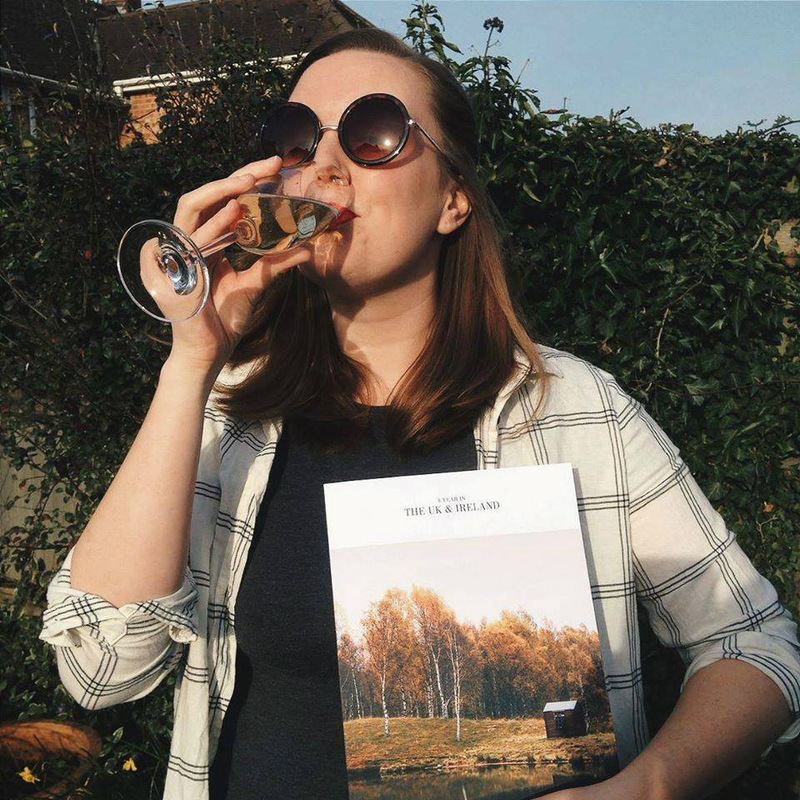 UK-based writer Emma Higgins has made a far-fetched travel fantasy into reality: She spends 365 days a year in a destination of her choice, produces a magazine-style journal to capture the spirit of the people and the place, and then moves to a new country to do it all over again. Each journal delves into history and local context so that readers learn why — and not just what — is going on in various communities around the world. 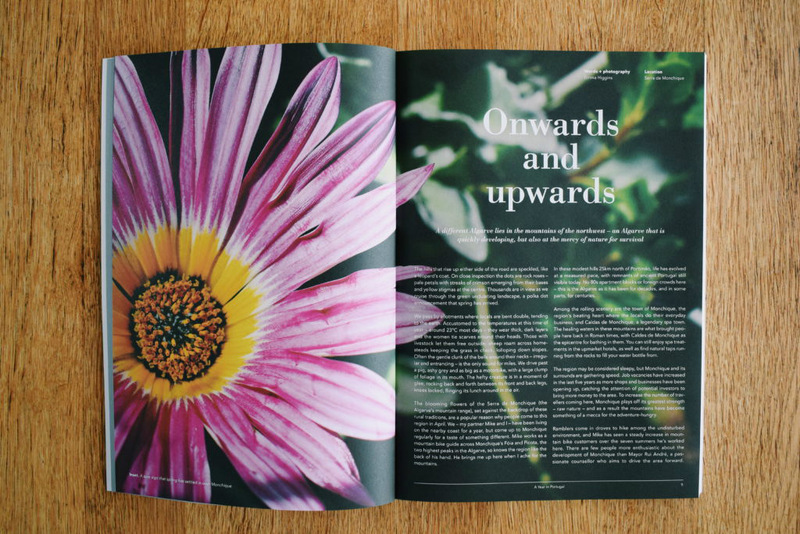 Though the journal’s vibrant design is beautiful enough to stand on its own, this is not just another coffee table book. Just five days before landing in Portugal, Higgins celebrates the publication of her UK and Ireland journal. Higgins was bit by the travel writing bug on a trip to India in 2010. “I was only 20 when I went to India, and it opened my eyes to the big, wide world. It was nothing like I expected.” Since then, she’s been seizing every opportunity to write about her travels. “I didn’t go with a lot of money, but I made it work by volunteering at vineyards, engaging in sustainability projects, and even working at a dog shelter in Peru.” She used , an online community where travelers can volunteer on organic farms, vineyards, or other work sites in exchange for room and board. After stints in Spain, South America, Toronto, and Thailand, she headed back to her homeland, the UK, to create the first A Year In… journal. Years of world travel made her realize that her old stomping grounds were just as worthy of exploration through fresh eyes. 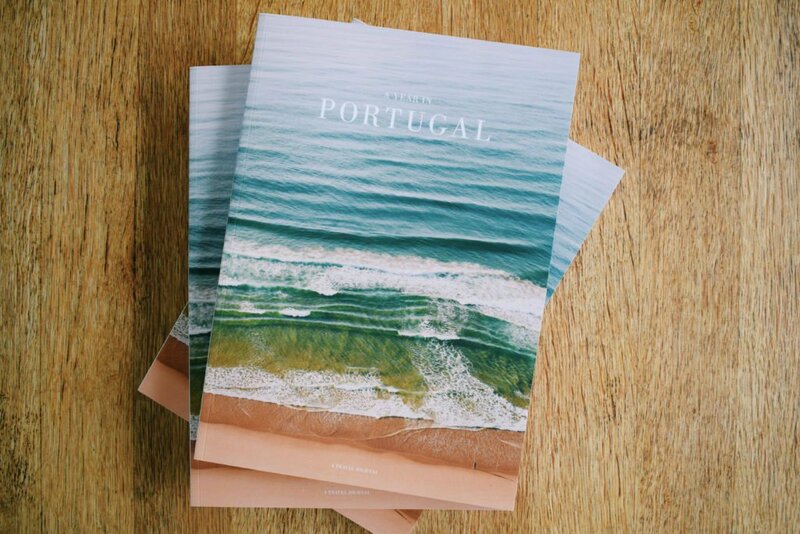 Only five days after was published, Emma moved to Portugal to begin her next project. Though she did not speak Portuguese before showing up, she made the effort to learn. On more recent travels, she found a less intense way to travel rent-free: house-sitting. website has been her best tool: a mutually beneficial agreement where travelers live rent-free in exchange for house-sitting services (watering plants, caring for pets, cleaning furniture, general upkeep). Guimarães in northern Portugal. These buildings were once tanning pits but later given beautiful new facades. A spread in the journal. 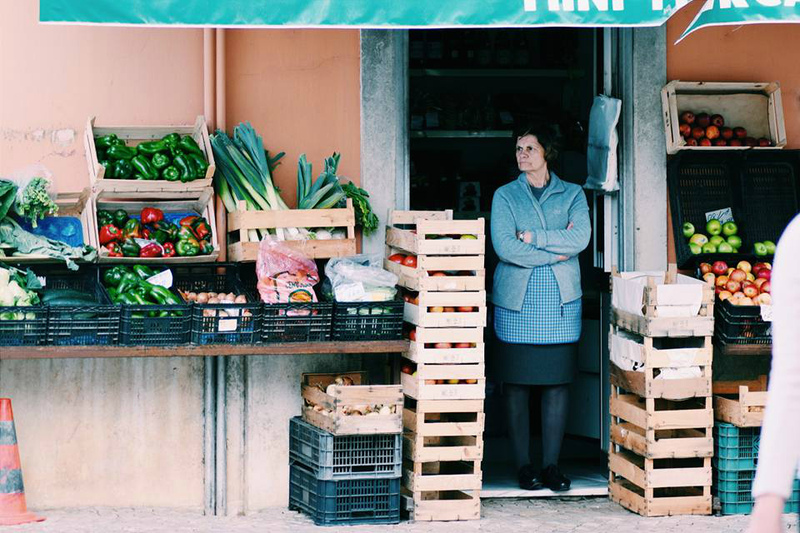 A veggie vendor in Loulé. Here’s how she tackles all this in one year: Field research comes first, with Higgins seeking out new conversations while exploring towns. “My research is organic,” she says. “I just go around whatever town I’m house-sitting in and look and listen out for stories.” Coffee shops are especially great hubs for observing culture. Tourist websites and hotel clerks also offer useful tips and information. Then she writes and writes (“I spend about 80-percent of my time at my laptop,") while enlisting other contributors to lend their perspectives. 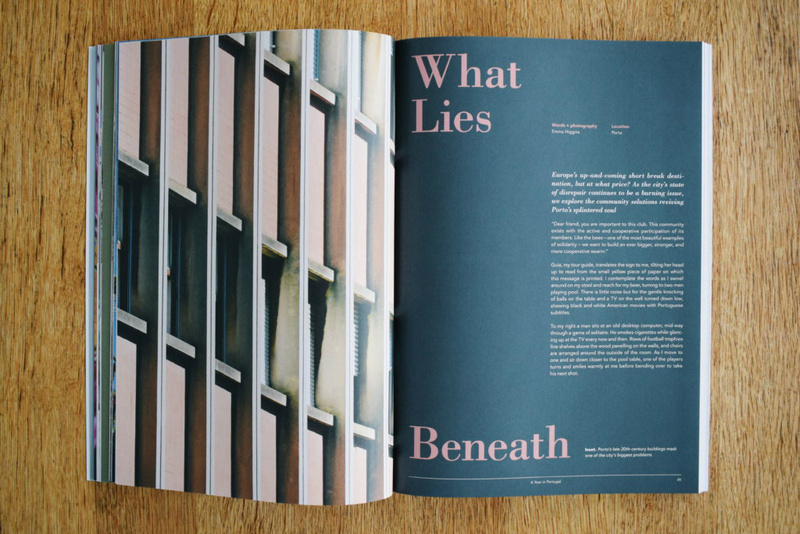 Scotland-based graphic artist Ryan Strachan designs the book from cover to cover. 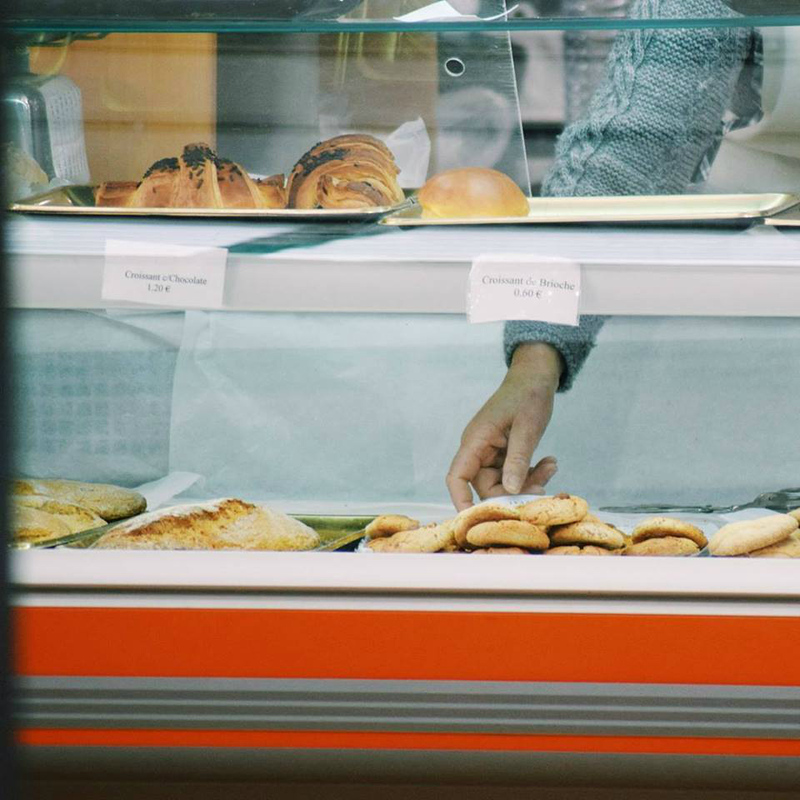 A Portuguese bakery. These sweets need eating! Fish carving by a skilled craftsman at a market in eastern Algarve. When in Portugal, eat shamelessly. “I didn’t expect how good the food would be. It is really distinct and flavorful.” Portuguese explorers brought African and Moorish influences back to their homeland centuries ago, and these flavors still influence the cooking today. 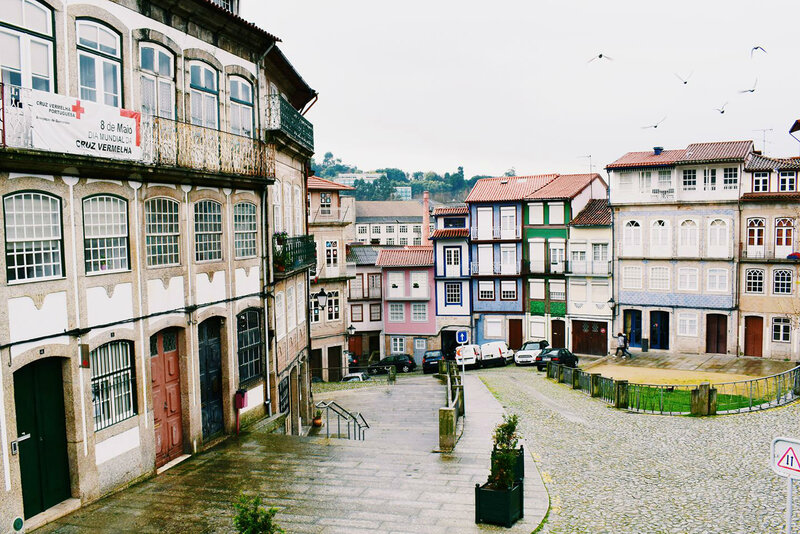 “Evora is definitely high up on my list of favorites. I went twice and could go back again and again,” she says. The UNESCO World Heritage site, east of Lisbon is steeped in history but still has great energy because of a bustling university there. There are lots of young people and incredible landscapes begging to be hiked. What to skip: Though you can’t go wrong with a trip to any coastal town, the land-locked regions of the country are less exciting for a young traveler. “That’s where the British expats tend to live, lots of retired people,” she says with a chuckle. But she does encourage visitors to check out as many coastal towns as possible. Porto's waterfront and beautiful facades. What you don't see is the difficult social context underneath. 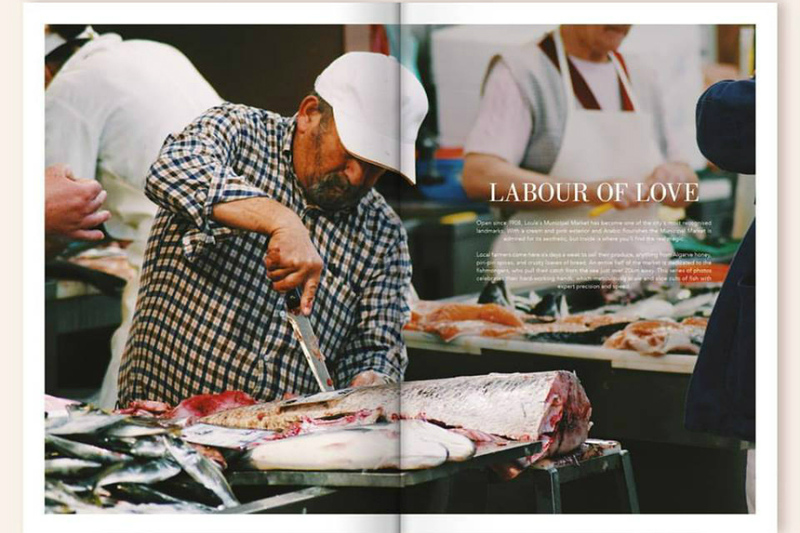 The Porto page from "A Year in Portugal." “Portugal was about really listening to people and putting their stories into context,” says Higgins. 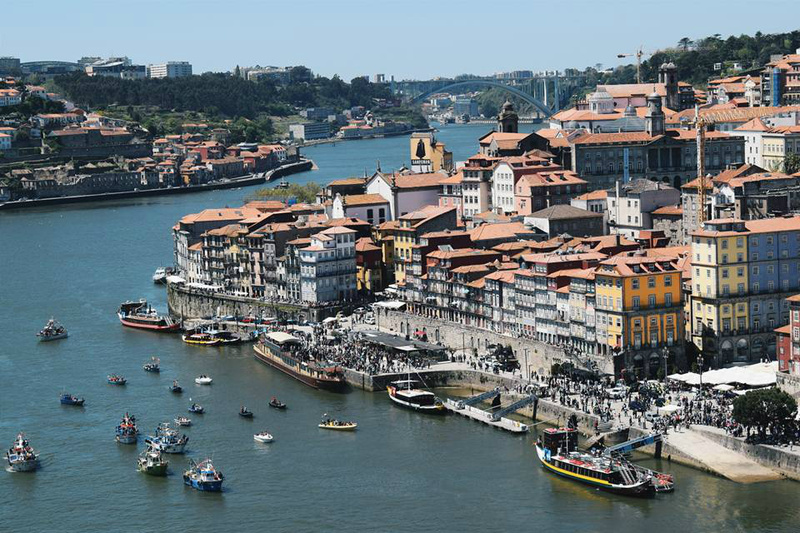 The journal's feature on Porto, a historic, coastal town in the country's northwest region, accomplishes exactly that. Tourists see the ancient-looking town as a cool setting for an Instagram photo, but crumbling houses, though beautiful, signal distress. Local grassroots groups are advocating for the rundown buildings to be renovated into after-school children’s spaces or turned into community workshops and gatherings. “The Council [government] invests more in people who are coming rather than the people who already live there." Alaina is a California girl, and an editorial intern at Gentedimontagna HQ. She travels to connect with new communities and enjoy beautiful adventures in the great outdoors.